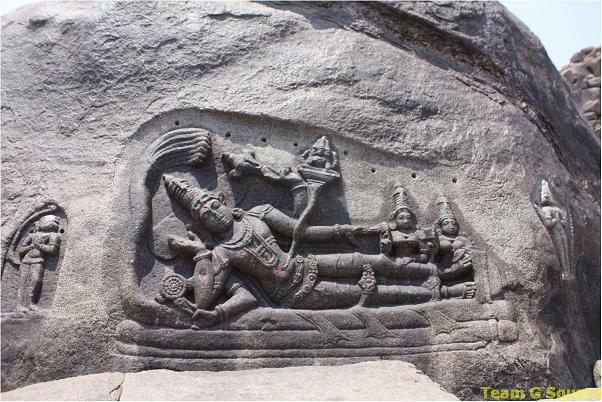 'Anantasayana' or 'Sesasayana' is an aspect of Lord Visnu, depicted recumbent on the coils of the cosmic snake Ananta, with the snake's seven hoods forming a canopy over the sleeping god. The serpent lies on the waters of the shoreless cosmic ocean. Anantasayana embodies the three cosmic functions of creator, preserver and destroyer. 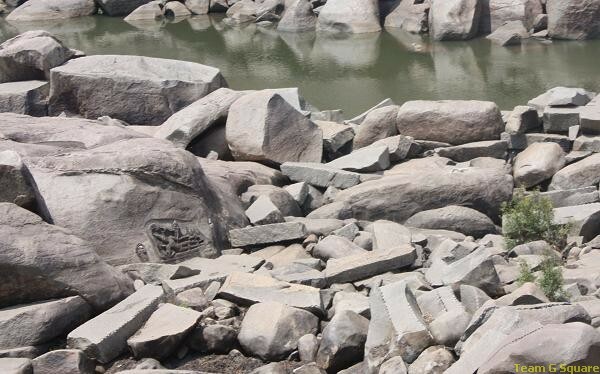 Lord Anantasayana is beautifully etched on a rock located on the banks of the river Tungabhadra. Here, the sleeping Visnu reclines on the coils of the snake Ananta and from his navel emerges a lotus stalk, on the flower of which is seated Lord Brahma, the creator of the world. Sridevi and Bhudevi, the consorts of the Lord Visnu are depicted beautifully near his feet. Lord Visnu is seen holding his emblems viz., the conch (shanka), discus (chakra), mace (gadha) and lotus in his four arms. Lord Hanuman and Garuda are also seen worshiping Lord Visnu by his side. From time immemorial, Lord Anantasayana is being worshiped on the river banks, as they are assumed to be the Kshirasagara or Cosmic ocean, from which Brahma created the world. 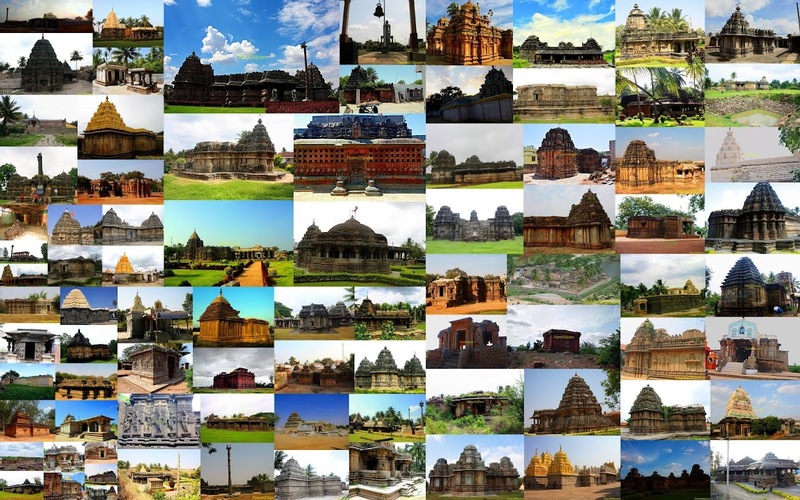 There are many famous temples in India and Nepal, dedicated to Lord Anantasayana and all these are situated on the banks of rivers. Splendid carving and a fascinating post/ captures as always!! Have a wonderful weekend! This is beautiful!!! yet another tidbit we missed at hampi! calls for another trip! That is a real beauty. Great find. You have a great eye for such hidden stuffs! Fantastic carving in the stone. I'm glad you found and captured this wonderful carving and shared it with us. Awesome as always! Rare find indeed! There is yest so much to discover in Hampi.